You think you know the story. Pigs. Houses. Red Cloaks. Taking baskets to Grandma’s house. But you’ve never heard the real story – until now! Boss Beulah Bell (a proper Southern pig) is in charge of a little patch of countryside in the Fairytale Woods. But for Beulah, being the star of The Three Little Pigs isn’t enough. With the help of her dimwitted daughter Petaline and a well-intentioned want-ad Wolf, she plans to alter all the fairytales beyond repair. With the help of the audience, Petaline Prunella Pig and Wyoming Wolf (a.k.a. 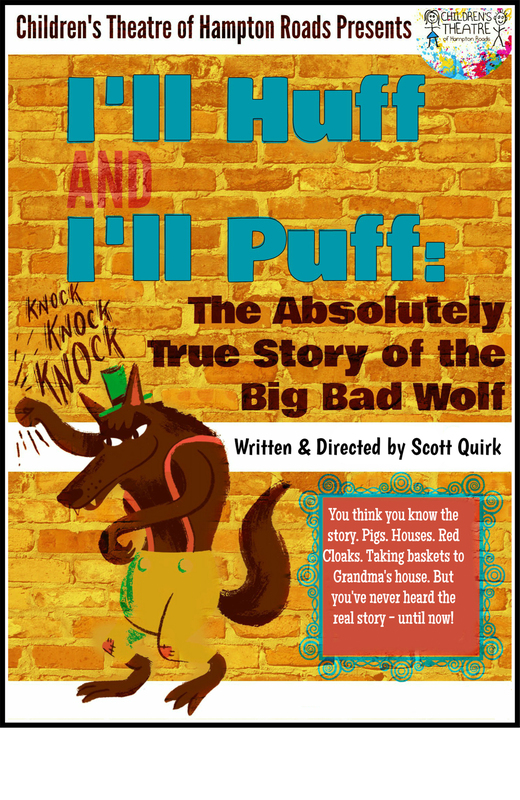 The Big Bad) vie to stop Beulah in her quest to change the fairytales as we know them into new works, such as “The Little Pig-maid”, “Pig-nocchio”, and “Snow Pig and the Seven Dwarves”. An engaging and interactive production that will entertain the youngest audience members, the seasoned theatre-goers, and everyone in between!